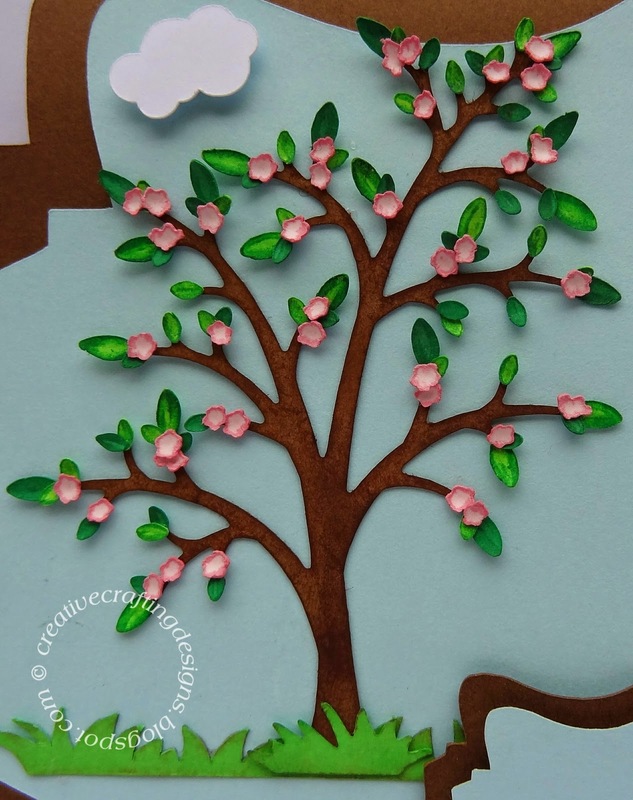 Hello my crafty friends 🙂 I love how the card I’m sharing with you today turned out, Especially the tree. To start with I used my Cricut Explore to cut the card which is an svg file from My Treasured Kutz called Flourish “C” Background Card w/ Mat. Now, the tree is my favorite, I used a metal dies from MTK, bear tree and Four Seasons. I inked everything; every single little piece, lol. I then used a stylus and foam mat to shape all the pieces to give it a more realistic look. I attached all the pieces (and attached it to the card) using Scotch Quick-Dry Adhesive. I cut the grass using MTK Petite Grass Border, then chalked it to give it some depth. The High and Mighty Clouds is a MTK die as well, which I attached using foam tap to make them pop off the card. 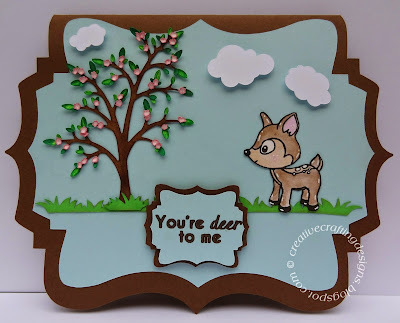 The adorable deer stamp is a Craftin Desert Diva’s stamp from the Deer Friends stamp set. After I stamped him, I hand cut him out. 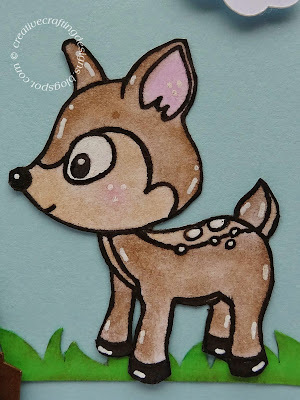 To color the deer I used chalk and followed it up with a little white gel pen to give him a little more detail. Now, I don’t know how noticeable it is but there’s this dot on his head that I have no clue where it came from. I didn’t see it until after the card was put together so I was too late to redo him with out ruining the hard. The tag was actually create using the mat from the card file, I just shrunk two pieces way down in size and layered them using foam tape. The cute sentiment stamp “You’re deer to me” came from the CDD Deer Friends stamp set as well. To attach everything else I used my Xyron Sticker Maker and Elmer’s Tape Runner. I hope you all like my card.